Getting practically all of Hollywood’s top stylists in one room is no easy feat. But the day before of our Fashion Los Angeles awards, The Daily Front Row partnered with the Outnet to toast the biggest and baddest celebrity stylists in the business with a luncheon. Amongst those attending were Elizabeth Saltzman, Brad Goreski, Monica Rose, Micaela Erlanger, Ilaria Urbinati, George Kotsiopoulos, Samantha McMillen, B. Akerlund, Jill Lincoln & Jordan Johnson, Karla Welch, Law Roach, Jessica Paster, Ade Samuel, Maeve Reilly, Lindsey Dupuis Bledsoe, Micah Schifman, Mariel Haenn & Rob Zangardi, Penny Lovell, Jamie Mizrahi, Jen Rade, Erica Cloud, and Maryam Malakpour. But before guests sat down to eat, we took a quick survey asking each stylist to name their pick for the emerging label that’s about to blow up in fashion. Here, we list the ten designers named most often by our coterie of top stylists. Sparkly and frequently rainbow-laden? Of course Katy Perry’s a fan. Both unapologetically ebullient and opulent, the label from Italian co-designers Giorgia Tordini and Gilda Ambrosio is quickly gaining steam among the celeb set. Attico, the Italian word for penthouse, throwbacks “to a time when decadence ruled and grunge lay dormant in the shadows,” the brand’s website says. “Attico is coming. Join us upstairs.” Count us in. Given the name, one would think The Vampire’s Wife was a purveyor of velvet robes and goth combat boots. But girly peasant dresses? No way. The Vampire’s Wife is known for its midi-length, ruffle trimmed frocks but, perhaps there is some black magic at play. “I don’t know what it is,” mega fan Florence Welsh said when asked by Vogue U.K. to describe the label from Susie and Nick Cave. “But they make you look like you’re practising witchcraft in a very romantic cult, which is how I want to look all the time.” Us too, Flo. Maggie Marilyn herself is only 23-years-old and, as expected, her brand is wholly millennial. It’s a start-up run by a budding female entrepreneur who’s gone all in since launching her company two years ago. Marilyn has even showed pre-collections along with fall and spring from the get-go. Her brand also built on the principles of a globally-aware generation. One of the brand’s core tenets is ethical and eco-friendly production. Oh, and it’s super Instagrammable. Simon Porte Jacquemus is no stranger to the fashion world but his label is just really starting to infiltrate mainstream Hollywood — Emily Ratajkowski even wore his collection to our FLA Awards! Expect to see Jacquemus on more red carpets coming up, and fingers crossed his fabulous oversized beach hat makes an appearance or two. Since Chinese designer Snow Xue Gao graduated Parsons in the fall of 2016, her collections have earned rave reviews. “A number of luxury fashion buyers were in the audience and editors and stylists have been wearing Gao’s clothing around New York Fashion Week. The verdict? This is just the beginning for Snow Xue Gao,” Vogue wrote in a recent review. We have to say, Hollywood agrees! London-based designer Natasha Zinko is something of a streetstyle star in her own right and her namesake streetwear label very much reflects her subversive-yet-sweet aesthetic. We can totally see Bella Hadid in literally all the fall 2018 looks. “I’m not really quite sure I’ve seen this happen, straight out of the gate, for a designer who isn’t known,” said Bergdorf Goodman’s Linda Fargo told Vogue when asked about Michael Halpern, the 30-year-old Brit wunderkind who’s recently burst on the scene. 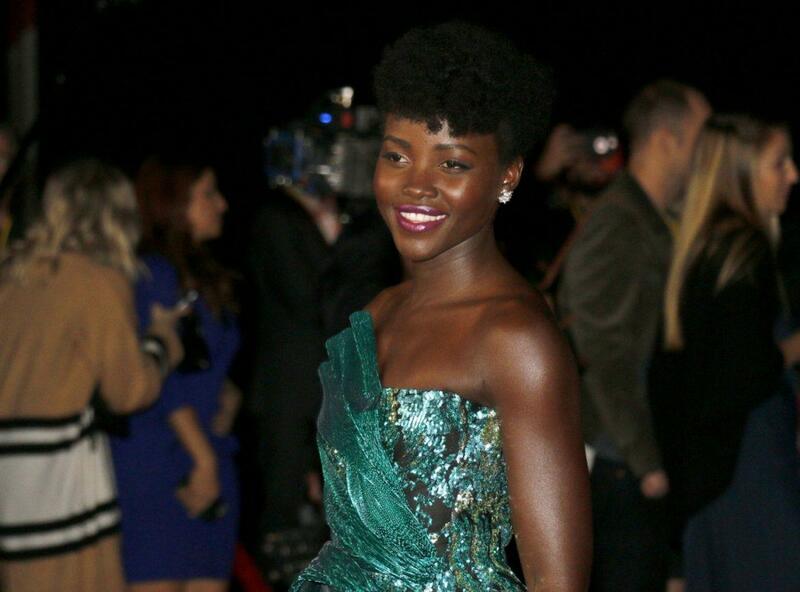 Erlanger has put both Diane Kruger and Lupita Nyong’o in his sparkly party dresses to wild fanfare. Bursts of madcap, multicolored sequins on sculptural silhouettes — what’s not to love? Markarian only just launched last fall and already Lily Collins, Emma Roberts, Cobie Smulders, Carolyn Murphy, Hilary Rhoda, Lily James, Ashley Graham and Emily Ratajkowski have been photographed wearing it. In it’s short existence, creative director Alexandra O’Neill has already developed something of a signature: celestial printed and cosmo-motifed dreamy dresses. The name Markarian itself is a galaxy. “It’s a particularly vibrant, high-energy grouping of stars,” O’Neill told Vogue. “I love all things celestial, cosmic, mythic, and divine—NASA’s Instagram account is also my favorite.” We have high hopes for this rising star. Bold, bright, and singular — it’s all one can hope for in a new designer. John Rogers’ designs are declarative yet nuanced, honed by John Rogers’ African American cultural references. “Ultimately, I really want to be a really influential player in the fashion scene, [to] create safe spaces for people of color and introduce an influential representation of black and brown skin to fashion that’s both interesting and celebratory. [That means] addressing what the politics of fashion can mean, [shedding light on] underrepresented people with clarity,” he told Fashionista last fall. This Nigerian designer’s namesake label infuses West African fabrications with sharp tailoring and intricate embellishment. “Our mothers, grandmothers and probably great-grandmothers have worn this fabric,” Folawiyo told BBC of Ankara textiles, the traditional West African wax-resistant cloth with which she exclusively designs. Thank you @marjon_carlos for this really cool article and vote of confidence. Love it!! !